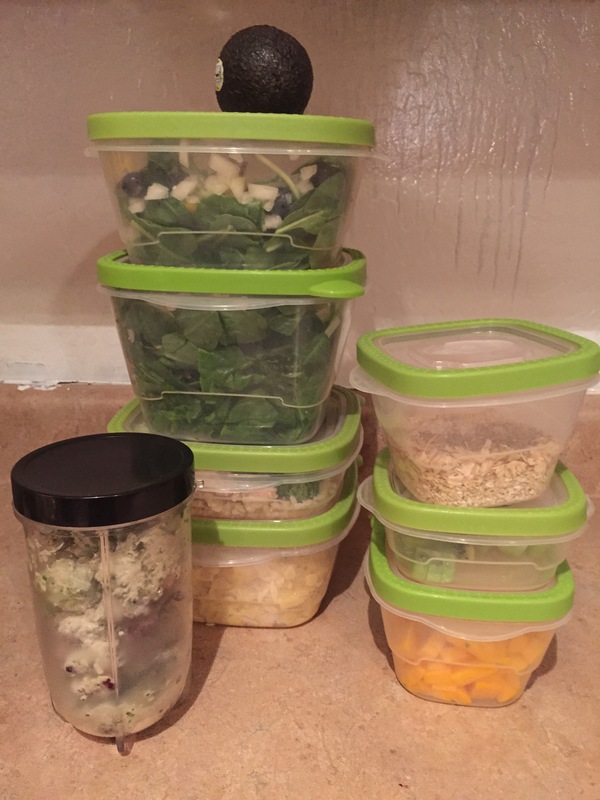 As a way to both save money and keep our diets on track, my husband and I decided to start planning our meals and snacks in advance every week. This meant throwing together a spreadsheet and buying some extra storage containers, and at the end of our first prep day an amusing amount of Tupperware in the refrigerator. On the days Danny works doubles, I prepped every meal and snack we’d have through the entire day (not just breakfast and lunch) and I think it helped to keep me on track. It also makes me happy to know that Danny is well fed and hydrated, because he has a very active job that takes him out into the heat more than I’d like. My salads were pre-made, my fruit was pre-sliced, and even my veggie/protein shake was prepped and waiting in the freezer to be blended. It was awesome! I’ve never been one for prepping a week’s worth of meals because sometimes leftovers taste weird, but the convenience of this is unbelievable so I’m going to have to learn to deal with leftovers. It’s so worth it! 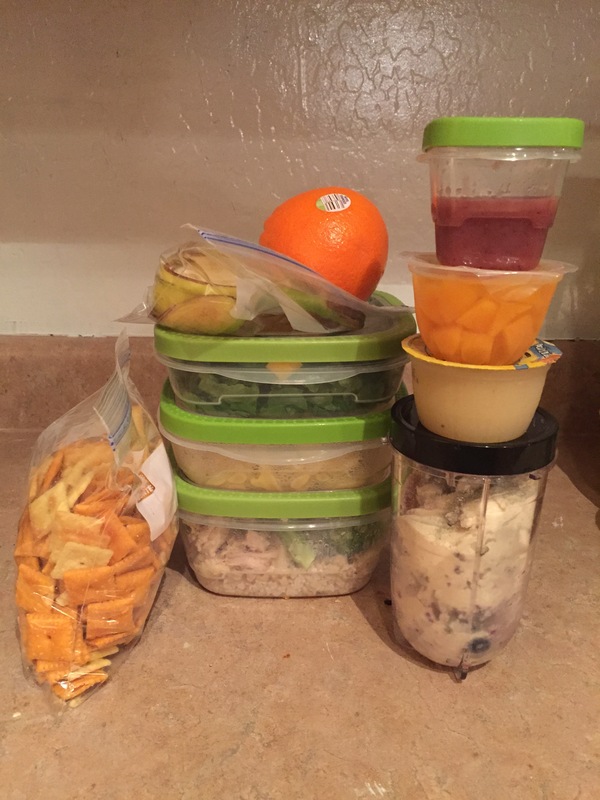 Do you prep your meals in advance or do you just prepare as the day goes on?